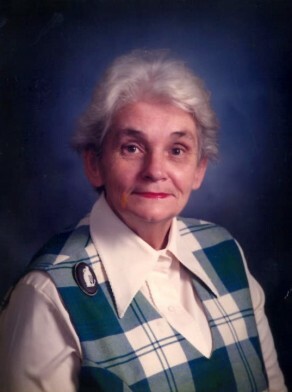 Maureen Margaret Oliver, nèe Murphy, was born about 1927, daughter of Margaret Ellen Murphy (d.1981). She was the sister of Alderman Terence Joseph Murphy. She and her husband Wal had three sons and five daughters. She died at Erskineville on 13 May 2000, aged 73. A requiem mass was celebrated at St Mary’s Catholic Church at Erskineville before her cremation at the Eastern Suburbs (Botany) crematorium. Maureen Oliver lived in Erskineville all of her life and was a highly respected member of the community. She was a long term member of the Australian Labor Party. Maureen Oliver Park on the corner of John Street and Erskineville Road was named in her honour in February 2001. Oliver was involved in many community activities. She was a member of the Board of the Rachel Foster Hospital and was involved in the establishment of Perry Park in Alexandria. At her death, it was requested that donations be sent to the Starlight Foundation. Maureen Oliver was an Alderman at the Municipality of South Sydney from 1969 to 1981, during which time she was Chairman of the Health Committee. Following the amalgamation of South Sydney and Sydney City Councils in 1982, she remained an Alderman on Sydney City Council for one term and did not seek re-election. Maureen Oliver was the first woman Labor Alderman on the Council of the City of Sydney as representative for Alexandria Ward from 1 January 1982 to 13 April 1984. She was a member of the Finance and Industrial Relations Committee in 1982.